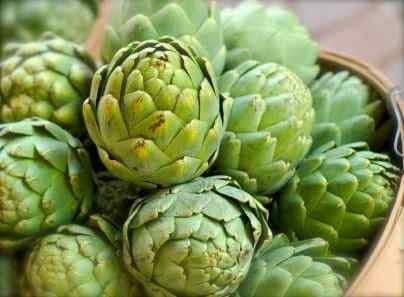 Johnny Carino’s Artichokes and Angel Hair Pasta – make a pasta dish quickly and easily with a few ingredients that tastes incredible. You can put together a hearty, healthy meal quickly with garlic, Roma tomatoes, artichokes, and more—in no time! 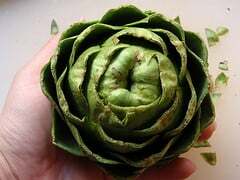 What Makes Johny Carinos Artichokes and Angel Hair Pasta so tasty? We would like to send a special thank you to ncbrewster for sharing this recipe. Make the well-known Johnny Carino’s Artichokes and Angel Hair Pasta with this copycat recipe. Sauté garlic in olive oil; then, add tomatoes, olives, capers, and artichoke hearts. Sauté ingredients. Serve over pasta. I’d recommend sautéing the garlic in olive oil for a minute or two before adding the rest of the ingredients. Always best to toss your pasta with your cooked items to coat with its sauce and add a fresh squeeze of lemon juice at the end. Definitely making this sometime soon. So I should add white wine to this? If it is in the recipe, you should add wine. Carinoshad a bread with bowl cheesy dip on appetizer menu. Hasn’t been on menu in few years. Can’t remeber what it was called, but DELICIOUS!!! You could have plain, have crab added, sausage. Would love to get that recipe if anyone has Ideas. I just made this dish today for my family. I used all the above ingredients plus I sliced very thin pieces of a cooked chicken breast to add to it. It was wonderful. Tasted just like the restaurant version. It was quick, easy and so delicious. Topped off with some Parmigiano-Reggiano to serve. There is parmesan cheese in this dish. Thank You so much!! I had this dish on my first visit and fell in love with it!! The wife had this last night with the addition of shrimp. We asked what was in the sauce. They said White wine, Vegetable broth, spices. I am going to try it with half white wine, half vegetable broth and a pinch of itialian herbs. This is all I ever have there. I can guarantee there is none of the above in it. Try this recipe just like above, tastes the same. this recipe is on their website. no wine. I generally don’t believe the website’s of the restaurants give out recipes that taste exactly the same. I appreciate the link though! My Wife and I are making this dish for our two year anniversary. It’s my favorite at Carino’s, and i cant wait to taste it homemade. What kind of wine do you think they put in it? pinot gris maybe? I would use a dry white wine, maybe a chardonay? Happy Anniversary, I hope you many more happy anniversaries together! You need about a of vegetable stock to make the sauce for this dish. How much vegetable stock do you think you need? I think something was left out in your comment. I ordered this dish today and asked the waitress if they might be willing to share this recipe. I told her what I thought might be in it and she added she thought they put a little wine in with it and they also added chopped basil. But no they weren’t willing to share. I do know it had the basil as I picked a piece out and examined it. Thank you!!!! Can’t wait to try it! This is a delicious and very easy pasta dish. If you don’t like capers, simply omit them. I just had this dish tonight at Carino’s and didn’t taste fresh basil in it…maybe dried, but I doubt it. Carino’s has basil and is tossed with Parmesan cheese. This is my favorite dish at Carinos. Hope it tastes as good homemade!